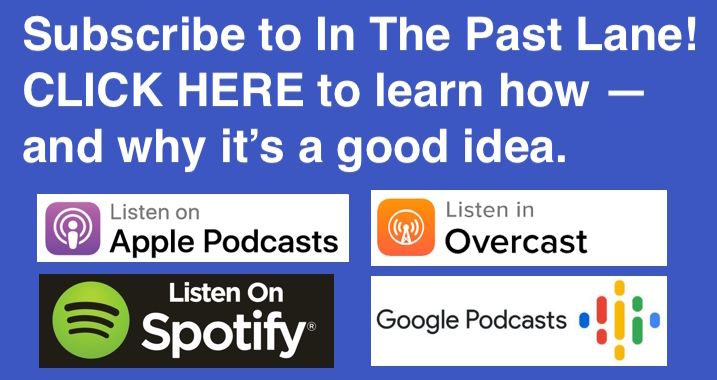 This week at In The Past Lane, the history podcast, I take a deep dive into the origins of Labor Day. It’s a holiday that most Americans these days take for granted. But it was born out of the crisis of the Gilded Age, that tumultuous last third of the 19th century that saw both the US economy boom as never before and social upheaval take place on an unprecedented level. This unique holiday was first celebrated on September 5, 1882. On that day thousands of workers in New York City risked getting fired for taking an unauthorized day off to participate in festivities honoring honest toil and the rights of labor. This first commemoration of Labor Day testified to labor’s rising power and unity in the Gilded Age as well as its sense that both were necessary to withstand the growing power of business and industry. The Labor Day holiday originated with the Central Labor Union (CLU), a local labor federation – essentially a union of unions – formed in NYC in January 1882 to promote the interests of workers. The CLU immediately became a formidable force in New York, staging protest rallies, lobbying state legislators, and organizing strikes and boycotts. By August 1882 membership in the organization boomed to fifty-six unions representing 80,000 workers. But CLU activists wanted to do more than simply increase membership and win strikes. They wanted to build worker solidarity in the face of jarring changes being wrought by the industrial revolution in the Gilded Age – the period in American history covering roughly the last 3rd of the 19th century. During this period the United States was transformed from what today we’d call a “developing nation” in 1865 to the world’s leading economic power by 1900. The favorite word of politicians and business leaders in this era was “progress.” But along with this tremendous increase in national wealth came a problem: widespread poverty. Evidence of this troubling duality could be found everywhere, but especially in New York City where mansions of big business tycoons like Vanderbilt, Morgan, and Carnegie arose along Fifth Avenue, while in the rest of the city two-thirds of the population lived in cramped and squalid tenements. In short, the establishment of Labor Day signaled that Gilded Age America faced a crisis over growing inequality. The motivation to establish Labor Day also came from a growing sense of alarm among American workers over the growing power of employers over their employees and frustration over the unwillingness of political leaders to do anything about it. Employers were free to increase hours, slash wages, and fire workers at will – practices that rendered workers powerless and pushed more and more of them into poverty. In other words, workers in the Gilded Age began to argue that in this new world of industry – one that was so very different from the agrarian world of the Founders – mere political equality (one man, one vote) was no longer adequate to maintain a healthy republican society. Modern industrial life, with huge corporations, global markets, and increasing numbers of people working for wages, required a recognition that republican citizenship included an economic dimension – not just a political one. 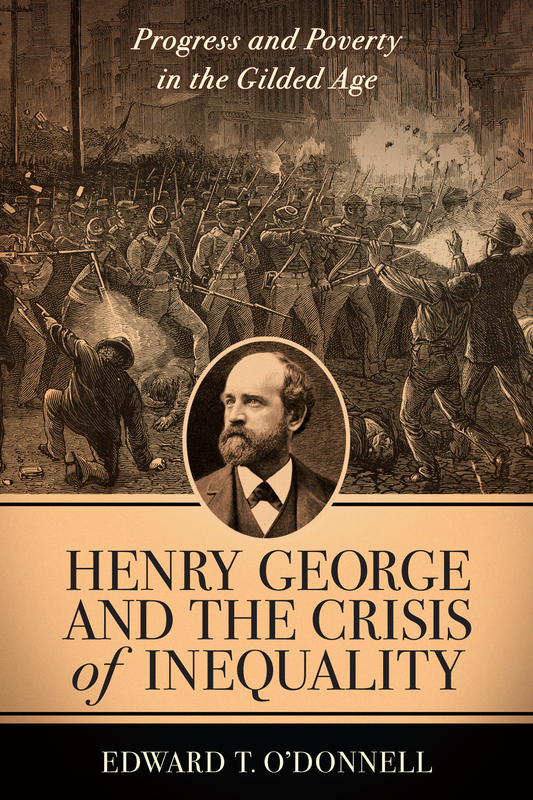 As the reformer and labor activist Henry George wrote in 1879, “In our time…creep on the insidious forces that, producing inequality, destroy Liberty.” The fact that all male citizens possessed the vote and equality before the law, George continued, no longer guaranteed them the blessings of republican citizenship. If one was forced to work 60 or 80 hours a weeks and yet did not earn a living wage, his right to vote was meaningless. He had sunken into what workers in that er called, “industrial slavery.” Extreme inequality, in other words, would destroy American democracy. Now, we should pause here to note that the precise identity of the CLU leader who in May 1882 first proposed the idea of establishing Labor Day remains a mystery. Some accounts say it was Peter “P. J.” McGuire, General Secretary of the United Brotherhood of Carpenters and Joiners (and future co-founder of the AFL), who proposed the idea. Others argue that it was another man with a similar last name, machinist Matthew Maguire. Well, we’ll probably never know the answer to which Maguire deserves the title of the “Father of Labor Day,” but it is clear that both men played key roles in promoting and organizing the original holiday. And so it was that after months of preparation the chosen day – Tuesday September 5, 1882 – finally arrived. Optimism among the organizers ran high, but no one knew how many workers would turn out. Few could expect their employers to grant them a day off and many feared getting fired and blacklisted for labor union activity. When William G. McCabe, the parade’s first Grand Marshall and popular member of the International Typographers Union, arrived an hour before the parade’s start, the situation looked grim. Only a few dozen workers stood milling about City Hall Park in lower Manhattan. But to the relief of McCabe and other organizers, by the time the parade touched off at 10:00 a.m., about 400 men and a brass band had assembled. In the early going, the small group of marchers faced ridicule from bystanders and interruptions in the line of march because policemen refused to stop traffic at intersections. But as the parade continued north up Broadway, it swelled in size as union after union fell into line from side streets. Soon the jeers turned into cheers as the spectacle of labor solidarity grew more impressive. Many workers wore their traditional work uniforms and aprons and walked behind wagons displaying their handiwork. Others dressed in their holiday best for the occasion. Midway through the parade, the throng of workers – now numbering 5,000 — passed a reviewing stand at Union Square. Among the many dignitaries was Terence Powderly, Grand Master Workman of the Knights of Labor, the most powerful labor organization in the nation. It then continued up Fifth Avenue, past the opulent mansions of the new super rich of the era – the Vanderbilts, Morgans, Goulds and so on, before ending at 42nd Street and Sixth Ave. From there participants headed to a large park on Manhattan’s Upper west Side for a massive picnic. By late afternoon some 25,000 workers and their families jammed the park to participate in the festivities which consisted of live music, stirring speeches on workers’ rights, and consumption of copious amounts of food and beer. Thrilled with the success of this first effort, CLU leaders staged a second Labor Day the following year in 1883 and the event drew an even larger number of participants. The next year, in 1884, the CLU officially designated the first Monday in September as the annual Labor Day, calling upon workers to, “Leave your benches, leave your shops, join in the parade and attend the picnic. A day spent with us is not lost.” Upwards of 20,000 marched that year, including a contingent of African American workers (the first women marchers appeared in 1885). Roosevelt’s New Deal and subsequent moments of reform like President Lyndon B. Johnson’s “War on Poverty,” boosted the wellbeing of the average American. So, too, did the influence of a strong labor movement. Labor’s power was on full display on Labor Day in 1961 when 200,000 workers processed up Fifth Avenue behind Grand Marshall Mayor Robert Wagner, passing on the reviewing stand dignitaries that included Governor Nelson Rockefeller, Senator Jacob K. Javitts, and former President Harry S. Truman. The result of reforms and strong unions was the steady decline of extreme wealth inequality. Whereas in 1890 the top 1 percent of Americans owned 51 percent of all wealth, by 1979 the 1 percent owned 20.5% of all wealth. But since 1980 the trend has shifted dramatically back toward increased wealth and income inequality. This trend has many sources, including deindustrialization, cuts to social programs, and the deregulation of Wall Street. But a key one has been the decline of the power of organized labor. In 1955 union membership reached its historic highpoint with 39% of the American workforce belonging to a union. Today, union membership hovers around 10 percent. And wealth inequality? In 1979, as we just noted, the share of wealth possessed by the 1 percent had fallen to about 21%. Today, it’s closing in on 40% — and rising. This trend explains why so many Americans have taken to calling this era, the Second Gilded Age. So this weekend, as millions celebrate Labor Day by not laboring, Americans would do well to reflect on the core claims of the early labor movement that invented Labor Day: Gilded Age workers and those who followed them argued that the nation’s democratic values and republican institutions were threatened by economic policies that left a small number of people extremely wealthy and powerful, while the great majority of citizens struggled to obtain or hold onto a piece of the American Dream. Today, this concern animates calls for a $15 minimum wage, single payer health care, tougher regulations on corporations, banks, and Wall Street, and greater investment in infrastructure and public education. So, Labor Day should remind us that while, to paraphrase Thomas Jefferson, all are created equal, they also grow up to live in a society shaped by policies and laws that determine whether opportunities for success are focused on the great majority of citizens, or merely on the 1 percent. P.J. McGuire, “Labor Day — Its Birth and Significance”, The Union Agent [Kentucky], vol. 3, no. 9 (Sept. 1898).